A clay pottery used to save money – Gullack is a startup founded by Dr. Arvind K Singh. Gullack teaches us the art of financial planning, saving, patience. 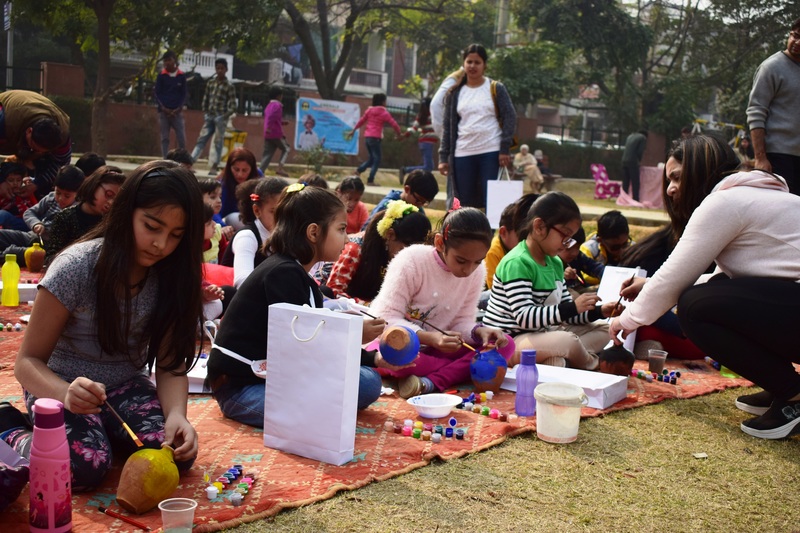 At the same time, it also connects us to our culture and art, and paves way for employment at the lowest level, in pottery, says Arvind. We at Bangalore Insider had the opportunity to catch up with Arvind, the founder of Gullack to know more about the startup, read his inspiring story. A clay pottery used to save money : That’s Gullack for us. In the modern era of consumerism, where every person is compelled to spend and to buy things, we are bringing back Gullack’s which used to be our childhood friend, to motivate people of all age and gender. The goal is to encourage savings, inculcate good habits, spread awareness about financial planning, importance of saving, and to connect people with their art and culture. Many a times, our even long planned holidays stays in plans only, all due to lack of financial planning and low savings. As our economy is marching towards being more digital, our expenses are getting higher and savings lower. With the concept of Gullack, we are trying to preserve the culture and save the future economical crisis by inculcating the habit of saving in kids and adults alike. We interviewed more than 100 people, and none of them had ever used money saved in Gullacks for useless things, even though it was in their childhood. Gullack teaches us the art of financial planning, saving, patience. At the same time, it also connects us to our culture and art, and paves way for employment at the lowest level, in pottery. My name is Dr. Arvind K Singh. I am an information security researcher, a cyber security consultant, and an innovator. I love to innovate and try my ideas in real world. I have been working as a lead researcher with Microsoft Research-New York for more than 7 years. Alongside, I have been trying my various ideas through founding new start-ups since last one and half years. In last 21 months, I founded 5 startups, failed in 3 of them miserably, one lasted for a little over a year, but had to shut down due to my personal reasons. When I thought it as end of road for me in the field of entrepreneurship, and was writing a book about my mistakes and failures as an entrepreneur, this idea of introducing Gullack in a new flavour, came to my mind. And it took me just a week to conceptualize, plan and roll out the same. Our StartUp is based at Faridabad-Haryana. We launched it there because we wanted to test our idea with the toughest people to get through. If you will observe all 5 cities of NCR (Delhi, Gurgaon, Noida, Ghaziabad and Faridabad), Faridabad comes at the bottom in development and people’s mindset. We thought that if our idea will work in Faridabad, then it can easily go through other 4 cities of NCR. And in just 2 months of time, we have got tremendous response from Faridabad. 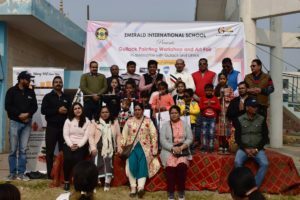 We have conducted 15 Gullack painting workshops in just 75 days of time, and have educated more than 300 children and same number of adults through our workshops. More than 500 families in Faridabad are now using Gullacks as a medium of saving, in their home. And we aim to bring back Gullack in every Indian household. Being founder of a startup which works more offline and locally, to get support and cooperation of local people is of utmost importance for us. Since we work as a non-profit, getting quality workforce and team members is the second tough challenge for us. Till now, we have been successful at generating awareness and encouraging people to save, but we need to do the same at mass level. Our children are getting more addicted to technology, and away from family, values and emotions. To bring back same emotions, feelings and values is our primary focus. Support from parents is required for the same. Since we are not into profit making, and working towards the growth of society, we consider everyone as our coalition, not as a competitor. We have been able to work with more than 10 NGOs, 6 schools, and various companies till now. And we are looking forward to get associated with more big and small NGOs, companies and organizations. We believe in working together, because that is the only way to get the message clear and better to the society. For me, it has been the easiest part till now. People consider me quiet good at time management. A year ago, I was handling my three start-ups, all in different fields, along with my job, my personal and family commitments. Even with work and different roles for different people and companies, I never compromise with my sleep (min 6-8 hours a day), leisure and hobbies. That keeps me cheerful and energetic, and motivates me to work more. Focus on what is important, and leave what is not fruitful. Find innovative, easy and time-saving ways to complete a job. That’s how I always have time to sleep, play and travel. No. We haven’t raised funding yet, and we have no plans to raise any funding. But every plan needs money to be executed well. Initially, we are contributing from our pocket, and through levying small fee on our partners who take part in our activities. But now, we are looking forward to accept donations for the better cause. We are also looking forward to collaborate with CSR departments of various companies. Those who haven’t met me in person, they have general misconception about me that I would be a big handsome guy, suited-booted, travelling by luxury car, leading a lavish life. That’s mainly because of my many small achievements and educational qualifications. Those who have met, they know I am simple, easy going person. I love to be surrounded by friends, love to hear them, value their opinions, and take their advices, even in tiniest of things. At the same time, I also love to enjoy my private, alone time. The reason behind all these is my average physique, below average dressing style, and simple living standard. I have seen the lowest as well as the highest in my life. And so I understand the value of time, money and relations. The basic idea of working among kids and their parents excites me every time. Tell me, who doesn’t like to be among kids? All our events are mainly for kids. And we are doing something which has never been done in past. 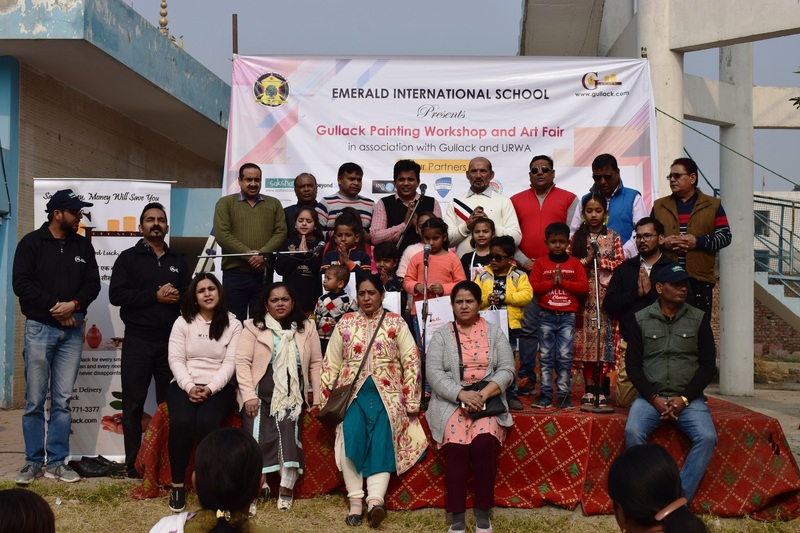 We organize Gullack painting workshops, teach kids the art of saving, financial planning, and how to be a good human being, how to lead a good environment friendly life. And all this in our Gullack painting workshops and story telling, along with other fun loving, art and cultural activities. Kids enjoy it a lot. And their smile gives me kick to prepare for the next event. I am surely not in the list of people who lead by example of early to bed and early to rise. My morning starts after 9 Am. I take my time to get ready, and hit my work table around 11 AM, with very little breakfast. The very first thing I do every day is to prepare a list of tasks to be done through the day, and prioritise them in order of importance. Use sticky notes for the same. Then I start working on them one by one. My list usually runs for 20-30 tasks a day. Event small tasks like : I have to send an email to x person for y topic, gets a place in my list. Every time a task gets completed, I strike it off, and feel myself like an achiever of a goal. Lunch usually happens around 3 PM. Evening is always reserved for chatting with friends, talking with family, visiting friends (every two three days), and spending time with near and dear ones. I analyse my day before dinner, recreate the list of tasks which are to be done next day, and at night. I usually eat dinner around 10 PM. After that, 30 minutes of personal time is must. Once again, work starts at night around 11 PM, as per the prepared list, and goes on till 1 or 2 AM at midnight. I never forget to meditate before sleeping, be it for even 5 minutes. And then, signs off to bed around 2 PM. Love to watch a couple of small videos or play ludo on mobile before falling asleep. Every kid and adult, who participates in our workshops, is our team member. But there are four people including me, who works actively towards the cause, on regular basis. Myself, Mr. Ankur Sharan, Little Aadya Sharan AKA Kuhu, and Mr. Nitin Uppal. Mr. Ankur is an old friend of mine, and co-founder of Gullack. We had met in a conference in 2017, and share common opinion in almost everything. He is an international supply chain professional, and a percussionist and calligrapher by passion. He is a keen observer of environmental and social reforms, and a researcher of his own field. He was the first person with whom I shared this idea, on my visit to Faridabad last Dussehra. He immediately appreciated and shown willingness to work together. We started working on this from the next moment itself. He has his great contributions in taking it to the next level, through his valuable advices, using his large social network, and vast experience. He is always ready to give his time for the better cause of society. His policy is to “Lead with example”, utilizing his art of creativity and various skills. Little Aadya Sharan is our Gullack Girl, as she fondly calls herself. She is also known as Kuhu. She is daughter of our co-founder Ankur Sharan, and her dreams are anything but to collect small happiness. At just three years of age, she has been featured at various stages in Delhi-NCR. And has also been awarded by Parmarth Foundation and Lok Kala Manch for her “Beti Bachao, Beti Padhao” slogan. You can find her face every now and then in our workshops, and on our banners and posts. Mr. Nitin Uppal had brought her daughter Aarna Uppal in our very first workshop, and since then, he is associated with us as a volunteer. He helps us design our banners and flyers, and also facilitate us to conduct workshops among under-privileged kids, through connecting with various NGOs. He has great experience at graphics designing, and has great contributions in presenting Gullack through graphics, banners and images. Apart from the above mentioned, every workshop conducted has given us a new team member, who occasionally contributes in the good cause with us, as a volunteer, be it Mrs. Priyanka Srivastava, Mr. Anup Sinha, Ankita Rastogi, Deepshikha Guglani, Sameer Guglani, Jyotsana Kalra, and others. And the list keeps growing with every other workshop.